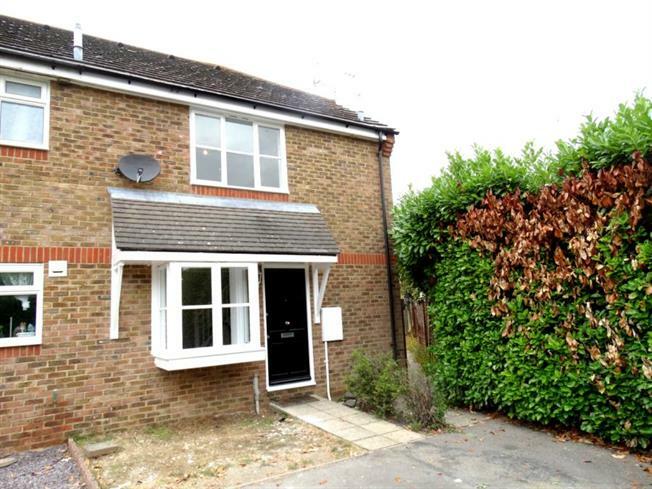 1 Bedroom Semi Detached House For Sale in Chelmsford for £225,000. This superbly renovated Freehold House is situated in the popular Village of Broomfield. Broomfield is a charming village steeped in history and boasts open green spaces, including five village greens and a wide array of amenities. There are a good selection of pubs, restaurants, independent shops and supermarkets on your doorstep. Chelmsford city centre is less than 3 miles away and offers a fantastic mix of boutique, designer and high street shopping, including a flagship John Lewis. For recreation, there is an Everyman Cinema, and for live entertainment, visit the Civic Theatre and Cramphorn studio. Enjoy an afternoon of cricket at Essex County Cricket Club, or visit the beautiful 13th century Chelmsford Cathedral. With a rich history, Chelmsford has everything you need and more. Chelmsford is within the London commuter belt, approximately 32 miles north east of London and is a popular commuter base benefiting from good road links enabling easy access to the M11 and M25 motorways. Stansted Airport is just 18 miles away by car via the A130/A120, whilst Chelmsford railway station offers regular services to London Liverpool Street in just 35 minutes. The property is situated towards the end of Nash Drive and is at the far end of a small private road with only two semi-detached houses. Internally, the current owner has employed a professional to complete many improvements to the property which includes a new contemporary kitchen with white units, white tiling and freshly painted walls and ceiling, a freshly decorated sitting room with laminate flooring, an impressive freshly painted bedroom with new grey carpets and built in cupboard and new bathroom with a new three piece white suite and shower bath. To the front, there are two allocated parking spaces which is a real added bonus. There is also a very impressive private garden which is accessed via a shared walkway to the side of the property. Integrated oven and hob, sink and drainer, washing machine, large cupboard, part tiled walls, extractor fan.